1. Josh Wilson is engaging. Josh oozes stage presence and he’s comfortable with his audience. It’s not a showy or ego-driven concert—more like a guy performing for a crowd of new friends. Plus, he allows the audience to get involved in his show with clapping, whistling, and other sounds that adds the illusion of a live band (it’s just Josh and his pedals on stage generally). Josh is amazingly talented. 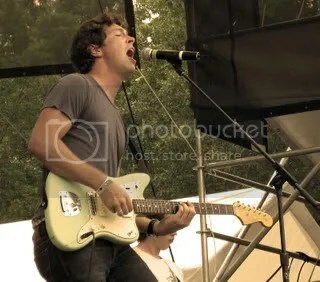 And his talent just shines when Josh plays live. He makes complicated guitar fingerings look easy as he chats with the crowd and expertly uses pedals to create layers of sound. When I say he’s a young Phil Keaggy, I mean it. (Though Josh would never put himself on par with Keaggy). You want to jump on the Josh Wilson train before it leaves the station. Believe me, this guy’s career is going to take off, and you’re going to want to be one of the first to support this burgeoning artist, who is really coming into his own. The songs he’s crafting for his next album (look for a January release) take Josh to the next level. On-stage and off-stage, Josh is all about his audience. I watched Josh Wilson interact with his fans at his merch table, and he gave each person a warm welcome, a high five, and a personal conversation. In fact, it wasn’t so much that Josh was talking to fans as making new friends. Finally, I would have to say that Josh Wilson is one of the nicest guys I’ve ever met. He wants to live for God, revels in God’s creation, loves people, and he loves his wife dearly—all great attributes in a guy. However, his raw talent, attention to detail in lyrics, and knowledge of the enormous burden he carries as a Christian role model make him a solid guy with a message that has depth. And he really is a great human being. Now, of course, you need to find a Josh Wilson show so head on over to Josh’s website to check out his upcoming performances. Or if you can’t find a show near you, then you’ll just need to book one, won’t you? Shoot Josh an e-mail at booking@joshwilsononline.com. Do you like Josh Wilson? Why else should you see him live? Revelation Generation (RevGen) held its fifth annual two-day Labor Day Weekend extravaganza Sept. 4-5 in Frenchtown, NJ. This year’s line-up was ambitious and impressive with big hitters such as Switchfoot, Jars of Clay, Relient K, Needtobreathe, Flyleaf, and MercyMe taking center stage along with other favorites such as Derek Webb, Jon Foreman (s0lo acoustic performance), BarlowGirl, Seabird, The Devil Wears Prada, and GRITS. Thirty-thousand people, five stages, good eats, and great weather–the combination made for a great day! Beach balls of all sizes started flying during Relient K’s set. I got hit on the head a few times! 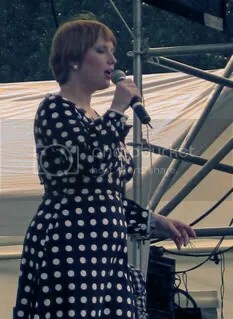 Attending only the second day of festivities, here’s what I discovered–The Fold (great band! ), Dawn from Fireflight is super nice, Seabird is amazing live (and in conversation), BReith is a funny guy, Relient K keeps getting better and better, Jon Foreman on acoustic packed out the Nashville Tent, BarlowGirl is wild in concert (must see again! 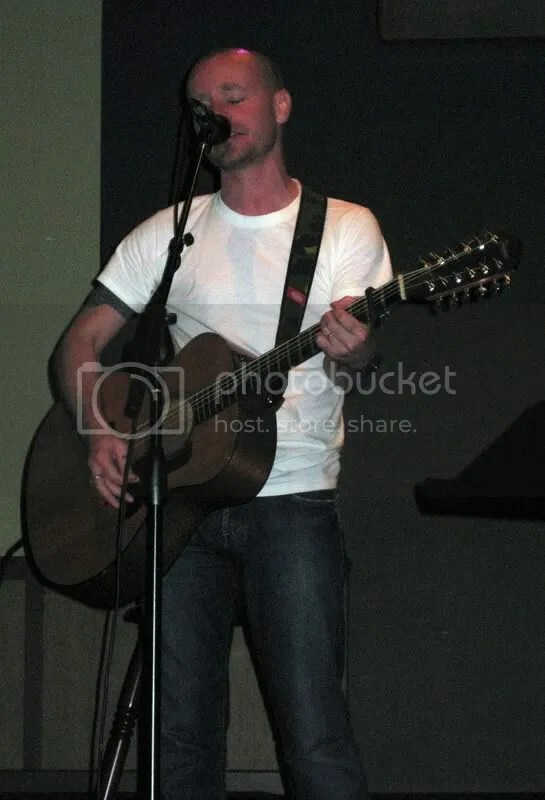 ), I like Derek Webb’s new album much more on acoustic! 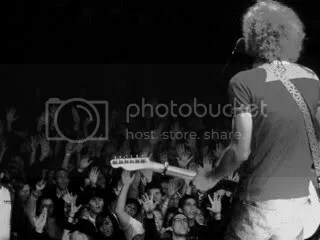 The ever-entertaining Matt Theissen of Relient K.
Like any festival, there are degenerates who ruin the fun for everyone. I wanted to keep this positive, but Sarah got spit on by a teenager girl (“What? I wasn’t spitting on you!” she protested), got kicked by rowdy college boys (who came dangerously close to kicking my precious camera), was hit on the head by a half-empty water bottle that came flying out of nowhere (no one claimed it or apologized), and dodged numerous frisbees and footballs. In fact, I was almost clubbed a few times as well. I can honestly say that some people were completely out of control–and, no, they weren’t all teenagers and I don’t think any of them were drunk. It was so exasperating that we didn’t dare venture past the acoustic stage after dark. With a crowd that size, people don’t need to throw concussion-causing objects–that’s what yards and parks are for! This is B.Reith. I met him in the merch tent. He was pretty amusing. Check him out! Overall, the event was wonderful. The staff and volunteers were courteous, helpful, and so kind! The festival really stepped up service to the media this year, which made things much easier. And–this is almost unheard of–the shows ran almost perfectly on schedule! Good management, RevGen! I will definitely make RevGen a permanent part of my Labor Day weekend. If you’ve been following me on Twitter, you know I’ve been talking about The Glorious Unseen [read Take 5] all week. Well, here’s a happy TGU member running the merch table. Sadly, I didn’t get to attend their live show. When I got to RevGen, The Fold was on the New York Stage, and they were really good. I caught up with the band later and also discovered, they are really nice guys. Unfortunately, I didn’t take their picture. But I will definitely interview The Fold for Backseat Writer. Aaron Morgan of Seabird on keys [top and bottom]. Jon Foreman performing for a packed out tent of fans [top and bottom]. Next, I checked out Jon Foreman’s acoustic set in the Nashville tent, which was packed out with rabid Jon Foreman fans. He sang “The Cure For Pain” when I was taking my closer pics. I know I’m supposed to be objective as a journalist, but tears were just pouring down my face as I snapped these shots. “The Cure For Pain” seems to be an anthem for so many judging not only by my reaction, but the crowd reaction as well. Derek Webb did a fabulous acoustic show, including some songs from his new album, Stockholm Syndrome, which just released Sept. 1. [Read BSW interview with Derek Webb]. I’ve been super busy lately, but I promise to let you know when I’ve edited/uploaded all my RevGen photos. By Amy Sondova On Oct. 18, I had the pleasure of seeing Bebo Norman in concert for the first time. Instead of going on and on about how awesome he was, I decided to tell post a bunch of pictures. If you play his music in the background and use your imagination, it’ll be just like you were there. Also, be sure to check out my interview with Bebo Norman (“Bebo Norman:: From the Ruins“) and pick up his self-titled album in Drive-By Shopping. Oh, MercyMe was actually headlining the event, so here are a few photos of them as well. The lighting was a lot more vibrant for MercyMe, so they were easier to capture through the magic of photography (especially from the balcony). And I did get a picture of Bebo and me together, but that will never see the light of say. I am a professional, after all. Bebo Norman's on the right and his friend, Gabe is on the left. Do Some “Drive-By Shopping” with Backseat Writer! Click the graphic...you know you want to! By Amy Sondova Despite the threat of rain and the stifling humidity, crowds flocked to Revelation Generation, a Christian music festival featuring Chris Tomlin, Leeland, Kutless, As I Lay Dying, TobyMac, and Phil Keaggy among others. The annual Labor Day weekend event boasts three stages named after major cities–Nashville, New York, and Philadelphia–as well as inflatables, a large picnic area, a skate park (for professionals only), food vendors, on a large farm. Sixpence None the Richer's Leigh Nash sings to an excited crowd. 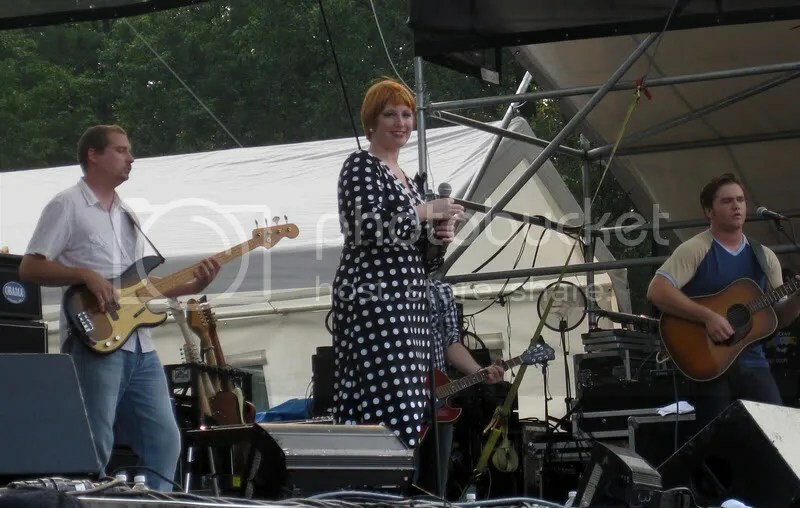 As in all music-minded festivals, the highlight of this festival was the music itself featuring everyone from Sixpence None the Richer, Matt Wertz, and even the Newsboys. While the New York stage hosted some of the edgier bands like Norma Jean, The Myriad, and As I Lay Dying, Nashville broke it down with singer/songwriters like Phil Keaggy and Bethany Dillon. The New York Stage functioned as a happy medium with the Robbie Seay Band, Kutless, and TobyMac. 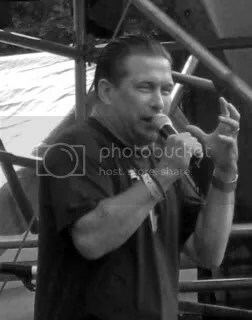 The festival’s speakers included the indelible actor Stephen Baldwin, who is most famous for his roles in movies, BioDome and The Usual Suspects among others. 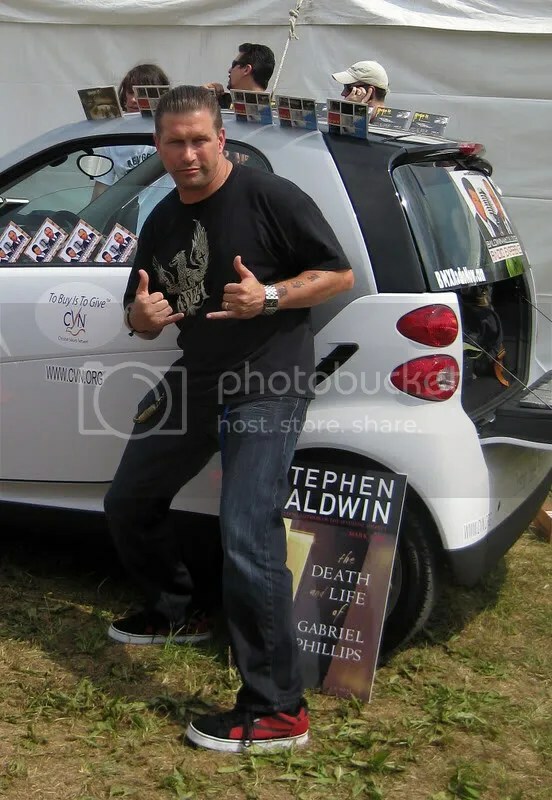 Since becoming a Christian several years ago, Baldwin has written several books including the biographical The Unusual Suspect and his latest book, The Death and Life of Gabriel Phillips. I missed Friday evening’s entertainment, which meant forfeiting a chance to see Leeland, Chris Tomlin, and Mandisa. However, Saturday provided me with plenty of opportunities to listen, photograph, and experience the energy of some of the artists. Matt Wertz was one of the best new talents to be found under this summer's sun. The merch/ministry area was disappointing. Not only was the tent crowded with tons of sweaty people, but there were at least four booths featuring pro-life merchandise! It’s an important message; however, it seems to be a little overdone. Besides, the commercialized Jesus junk (A Bread Crumb and Fish t-shirt anyone? ), the tent had a couple of good organizations like To Write Love On Her Arms (which was surrounded by throngs of teens buying TWLOHA shirts!) 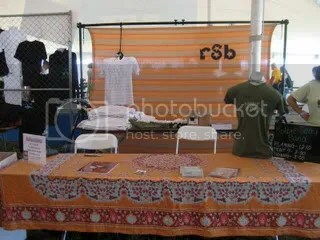 The band merch tent was half-empty and hard to navigate, but I have to give the Robbie Seay Band credit for having the best table display. Stephen Baldwin strikes a pose as I play paparazzi. While eating lunch, I heard rumblings of Norma Jean in the distance, which was a little hard for my taste, but the guys had incredible stage presence. Finally, I had a chance to check out (and photograph) some of the artists at Revelation Generation. Not only did I get a chance to listen to the Robbie Seay Band, Kutless, and Skillet, I had a chance to check-out Matt Wertz’s live set, which was excellent. 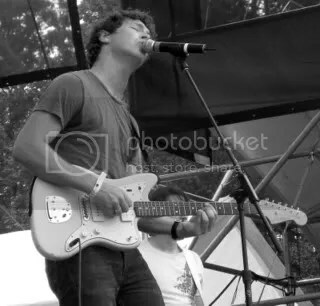 Running about the indie circuit for years, Wertz played songs from his upcoming major label release Under the Summer Sun. Sixpence None the Richer played during Stephen Baldwin’s talk, so I was conflicted. However, I managed to catch both Baldwin and Leigh Nash, much preferring Nash’s ethereal vocals over Baldwin’s forceful (bordering on obnoxious) message. 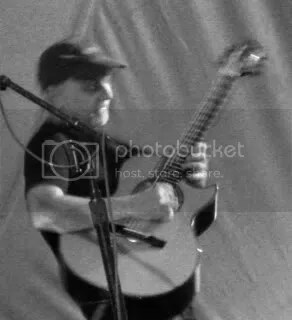 Phil Keaggy moves so fast that it's almost impossible to catch him on digital imagery. That and the lighting was poor. 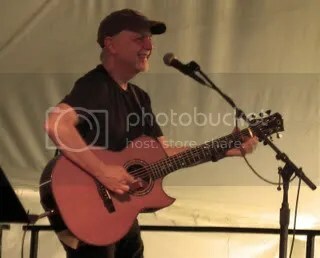 Then I caught the jewel of the festival, the man I really wanted to see—Phil Keaggy. Having seen him perform once before, I knew he was not to be missed, and wow, was I right! With ease, Keaggy masterfully strums and finger picks and uses pedals and melodic loops to create a piece of music that amazes the audience. It seems that Keaggy’s made close to 50 albums because he savors the opportunity to play guitar and sing. He’s having such a grand time on stage, it’s impossible not to join in his fun. All in all, Revelation Generation is a good festival, whose attendance is growing every year. However, the high prices by food vendors (and the inability of attendees to bring in so much as a bottle of water) put a bit of a damper on the fun. Also, including more female and indie artists would add more flair to the festival. 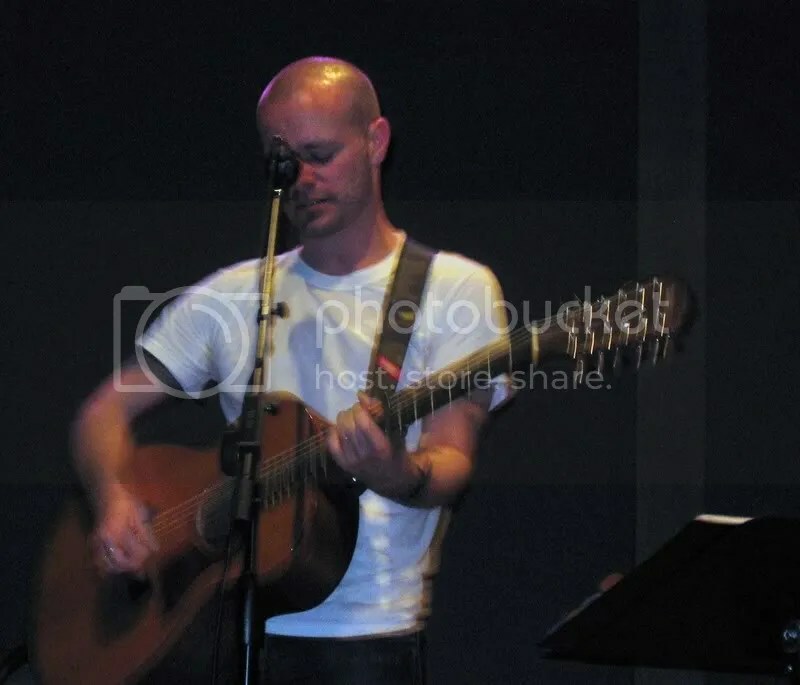 By Amy Sondova While my list of favorite bands and artists grows ever longer, there is one man who has remained at the top since his solo album debut in 2003—that man is Derek Webb. She Must and Shall Go Free rocked my sensibilities about what should and should not be said in songs by a Christian singer, especially one who had been in Caedmon’s Call. However, the more I listened to songs like “Wedding Dress” (which uses the word “whore”) and “Beloved” and the title track, the more I thought, “I love this!” The music started a change in me. Since 2003, Derek’s other albums—I See Things Upside Down, Mockingbird, and his latest, The Ringing Bell—have been in permanent music rotation. To me, this guy is a musical genius right up there with Bob Dylan and Reese Roper (Five Iron Frenzy, Brave Saint Saturn, Roper). So naturally, I wanted to see him perform live to drink in the whole picture. But every time I planned to see Derek Webb, there was a problem—the last which caused me to fly to Atlanta just to see a sold-out show that Derek played with his wife, Sandra McCracken. OK, so I was actually there for a youth conference, but I did twist my ankle walking back to the car after learning I wouldn’t see Derek yet again. Perusing Derek Webb’s website, I made a startling discovery! Derek would be playing only 40 minutes away at Calvary Church. It was a sign! My time had finally come! But I didn’t believe I would really get to see him until I entered the doors of the church and heard Derek’s vocals resonating from behind closed doors. Apparently, he was giving the “postmodern” church service a taste of what was to come an hour later. 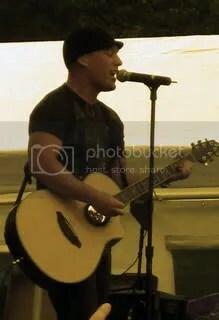 Before performing “Name,” Derek mentioned that the song was the closet thing he’s ever had to a hit since starting his solo career. Featured on “Grey’s Anatomy,” the song was over a “two and a half minute montage of fornicating adulterers,” explained Derek with a slight hint of sarcastic wit. The crowd laughed nervously and Derek dived into his song. Talking about everything from the upcoming election to his wife, Derek wasn’t particularly loquacious, but he was charming as he picked songs on a whim. For an hour, an audience was invited to depart from the worries of the world and get lost in songs about rethinking and reshaping the world. Derek made it sound not only believable, but encouraged that it was possible for us to help others experience God’s peace (shalom) on earth. In fact, Derek’s so committed to social justice, easing the burden of the poor, and other causes, that he’s joining forces with Sara Groves, Brandon Heath, Sandra McCracken, and Charlie Peacock for the Art*Music*Justice Tour this fall. For more information, visit the tour’s site and make sure you get the chance to catch a show. 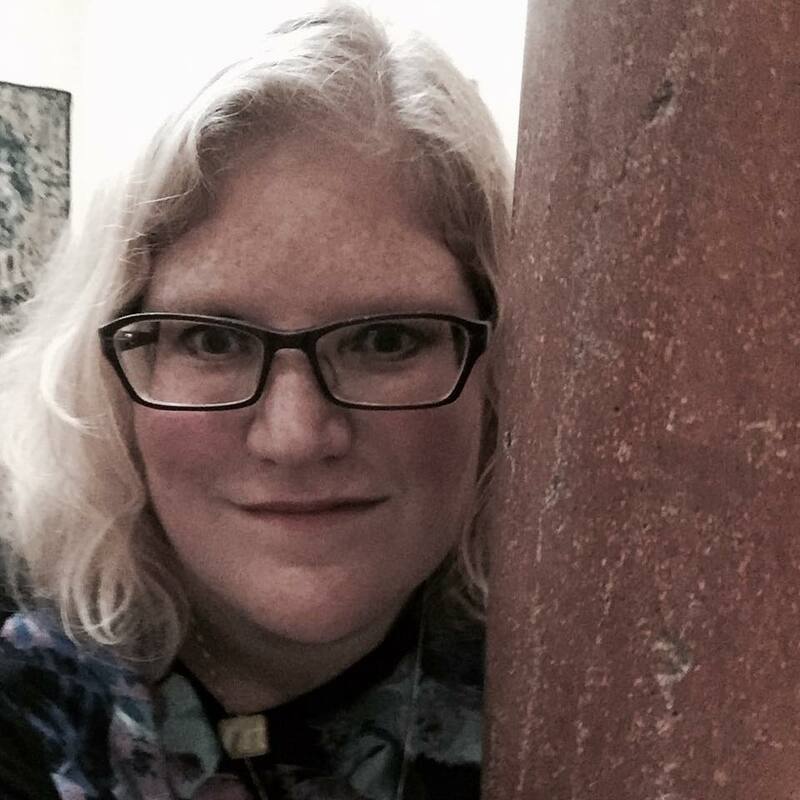 Because as Brandon Heath said in a recent interview (read here), “Besides the fact that Derek Webb’s on it, Sandra McCracken, his wife, is on it, too. That’s the other reason you should go.” I agree wholeheartedly. My dear friend, Jeff Greathouse, his beautiful wife, and their kids attended Alive 2008, a Christian music festivals taking place in Ohio. 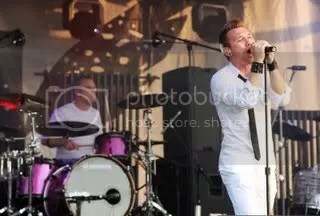 To read all about Jeff’s take on the fest, go to his blog (Alive:Wednesday, Alive: Thursday, Festival Photos, Concert Photos). He graciously allowed me to post some of his stellar concert pics on BSW. 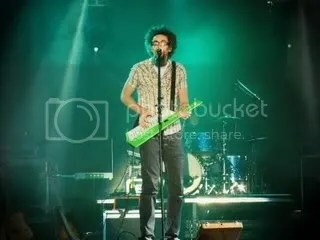 David Crowder with a funny looking instrument. David Crowder and his adoring public in black and white. …and Hawk Nelson! (Read BSW’s interview with Hawk Nelson’s front man, Jason Dunn here). 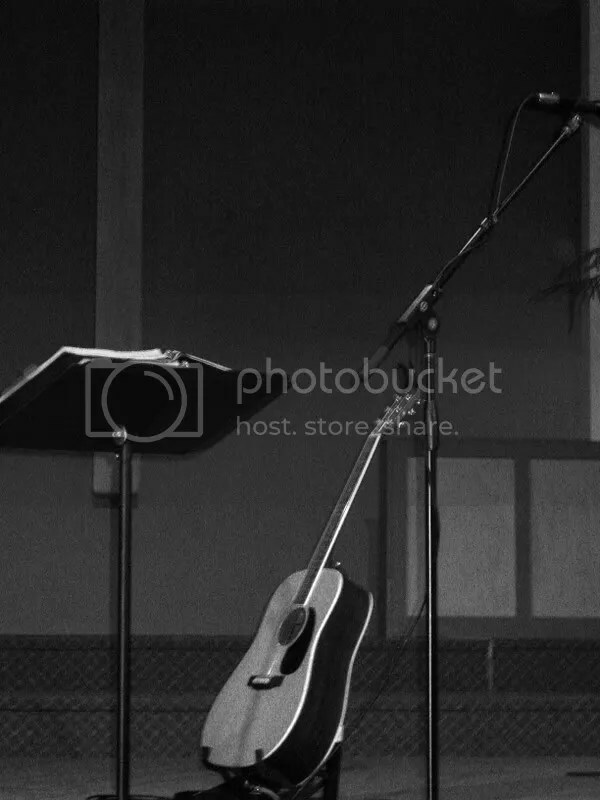 You can see the rest of Jeff’s concert pics on his blog. If you are attending a festival this summer, please shoot me an e-mail (amy@backseatwriter.com) and tell me all about it! I definitely want to get as many pics and recaps up as possible.